Changing policies and buyer habits have divided opinion on eBay store designs and listing templates. Which approach is best today? If you were to jump in a time machine, set the dial back five years and search eBay, it would look quite different. Back then, the marketplace was brimming with vibrantly designed eBay stores and listing templates, because there was little question over the positive impact that a custom design had on sales. Return to the present day though, and a lot has changed. eBay has banned Active Content and introduced features that hide the listing description, and many more buyers are shopping on mobile phones and tablets. As a result of these changes, opinion has become polarized on whether having an eBay store design and listing template is good or bad. Some sellers believe that a design can hurt sales and would never use one again, as they are seeing better results with plain text listings. Other sellers still choose to have a store design, because it provides a recognizable brand, gives marketing opportunities and allows customers to see what makes them unique. It’s one of the big advantages of eBay over Amazon – being able to stand out from the crowd. In this post I’ll look at the pros and cons of having an eBay store and listing design, and ask if it’s possible to have the best of both worlds: a strongly branded design that works perfectly on desktop and mobile browsers, complies with all of eBay’s policies, and – most importantly of all – increases your overall sales. It has been a period of change for eBay over the last few years, as they have tried to align their marketplace with the changing demands of buyers. This has included factors such as a growing preference for shopping on mobile devices, and the majority of sales being fixed price manufactured products rather than auctioned collectibles. In the Spring 2018 Seller Release, eBay announced that custom store designs will be phased out starting from May 2018. This is the end of eBay store designs, but there is no change to listings. Sellers that were caught out by the Active Content ban have had to get their designs fixed, often at their own cost, or remove the design completely. Going forward, sellers have to be more careful about which design templates or services they use, because they don’t want to pay hundreds of dollars (or more) for a template that doesn’t comply with the policy. It’s no secret that buyers are increasingly likely to make online purchases using a mobile device. eBay is no exception to this trend, as $11 billion of their sales were completed on mobile devices in Q3 of 2017 alone, accounting for just over 50% of their total sales during that period. The shift away from desktop and laptop computers has changed the way that eBay sellers need to approach listing design, with responsive design playing an increasingly important role. This means developing a design which automatically adjusts to look good on screens of all sizes. Traditionally, product descriptions have been crucial for eBay sellers. It has been their chance to advertise themselves and their product, and entice the buyer into purchasing an item from them. It is here that any listing design is added, as full HTML markup is allowed. But product descriptions are slowly becoming less visible on eBay. If you buy products on eBay’s mobile app, the description is hidden by default – you have to click to see it at all. And it’s not just on mobile, this is also happening on desktop, either through eBay hiding descriptions as part of random tests, or through the new Group Similar Listings function (covered below). These changes have left some sellers wondering whether a listing design is worth the cost, as some shoppers are buying products without seeing the description at all. Group Similar Listings was rolled out by eBay in late 2017 and allows buyers to group search results, so that all listings for the same product appear under one search result and product listing page. On this page there’s no description, only the item specifics, meaning a buyer could purchase the product without seeing the description. For manufactured products sold by several competing sellers, this could render store and listing design redundant. But, it’s important to remember that it is currently not the default setting. It’s still possible to navigate through to the full listing page, and many buyers are still searching for products without grouping listings. The launch of eBay’s Cassini search engine, back in 2013, gave rise to a lot of speculation about how to rank highly in search, and the operation of the new default “Best Match” ordering of results. Rumors were rife on eBay forums that listings dropped in search due to eBay’s new technology handling HTML badly. Now, no one other than eBay knows for sure whether Cassini really does dislike listings with HTML, but the speculation has lead many eBay sellers to completely ditch their store and listing designs. So why have a design at all? Some sellers may think that the sole purpose of having a store or listing design is just to make their products look pretty, but the impact can be far bigger than that. In fact, it can help you sell more, and offer your buyers a better shopping experience. Repeat business – customers remember who you are and what you sell, so come back more. Conversion rate and pricing – a seller who looks trustworthy and knowledgeable can make more sales, and set their prices a little higher. Cross-selling (getting buyers to add additional products to an order) – a good brand can communicate everything you sell much more quickly than just describing it in words. A good design can also help you draw attention to any promotions, such as discount sales, that you are running. By using a custom design with dynamic elements (so they can be changed without having to edit every listing) you can showcase whichever offers you choose. A final reason is that you can suggest related products that buyers might like and provide links to different categories of products that you sell. Buyers may never see your store, but by having a custom-designed listing template it’s much the same, because you have a consistent design theme and can surround buyers with your products. When it comes to eBay store and listing design, sellers have three options. eBay sellers are not forced to have a design template for their store or listings. So, if you don’t see the value in a store design, you can choose not to use one, and just have text listings. There are a number of reasons why sellers may choose not to have a design. As we’ve already mentioned, it could be because they believe HTML plays badly with Cassini, or that other designs they’ve seen look bad on mobile devices, or even that they think product descriptions barely matter anymore. Another possible reason, is when sellers have paid for a design in the past and either haven’t updated it, and it stopped functioning properly, or they didn’t want to pay a monthly subscription fee to keep it compliant and working. Possibly the biggest downside to not using any type of design is that listings can look amateurish, especially on desktop. Now, while the focus is increasingly shifting to mobile, it shouldn’t be forgotten that many buyers still use desktop or laptop computers. Sellers who choose to go with plain text listings could risk losing out with these customers. When it comes to eBay design tools, there are several to choose from. Most create listing templates, that you can use to create individual item listings, while one tool, Store Designer, specializes in eBay store designs only. You usually start by linking your eBay account to the software. Then there are a number of fully customizable templates to choose from. Each one will have placeholders for elements such as images and the product description, and marketing features like cross-selling galleries. You really want to use a service that offers responsive design templates and a function to preview the result on different screen sizes. That way the design will work well on desktops, tablets, mobiles and the eBay app, and you can make you own decisions on how your listings appear on screens of different sizes. You will also need to check that the templates provided are compliant with eBay’s Active Content policy, as you don’t want to spend time perfecting a design which won’t work. Copy and paste the HTML into eBay’s listing page, and add the specific product information there. Some tools have a built-in lister where you add product images and description and it posts the listing to eBay directly. You can use the template with your own multichannel management system. This is easiest if the design tool can create templates that are compatible with the system you use. Some tools can apply the template in bulk to your existing eBay listings, either as a standard feature or as an additional service that you pay for. It’s important to note that eBay design tools are usually subscription services, so after you’ve created your template you will have to keep paying monthly, or it will stop working abruptly. If you’re looking for a higher level of customization and want a design that’s unique to your brand, then going to an eBay design service could be the right option for you. With this approach, you find a designer and brief them on what you are looking for. This could just be eBay store design and listing template, but it’s not uncommon for sellers to use it as an opportunity to create a whole new brand identity, which may include logos, banner graphics and even an independent ecommerce store. After you’ve briefed the designer, they’ll give you a quote for the project and if you’re happy, they’ll either start work straight away or add it to their schedule. Pre-project Seller and Design Company Agree price and date work will start. Pre-project Seller Makes first payment. Week 1 Seller Completes questionnaire about their business, design preferences, competitors, goals etc. Week 1 Design Company Assigns a team (if applicable – some designers are sole traders, others have Project Managers, Designers, and Developers). Week 1 Seller and Design Company Conference call to talk through the questionnaire, raise questions and make sure it’s all understood. Week 2 Project Manager Creates specification for the designer. Weeks 2-3 Designer Creates a static mock-up of how the design will look. Weeks 3-4 Seller Gives feedback. The Designer revises the mock-up. There may be several rounds of revisions. Week 4 Seller Approves the mock-up design and makes a second payment. Week 5 Developer “Codes-up” an interactive design and installs it on a test listing or website. Week 6 Seller Gives feedback, asks questions, and tests the design. Revisions are made, and feedback given again. Week 6 Seller and Design Company Agree a go-live date. Training on using the design may be given. Go-live date Developer Updates the seller’s store and listings. Configures seller’s listing software. Go-live date Seller Tests again, asks questions and gives feedback. Changes might be made. After go-live Seller Makes the final payment. Post-project Seller and Design Company The project is now complete and any further work should be handled under a maintenance and support agreement. The end result will usually include several pages to upload for your eBay store, and a listing template that you’ll need apply to individual product listings. There is usually a hand-over, where the HTML is given to you to copy into eBay or your listing management software. Some services may offer to apply the HTML to your existing listings for you, often for an additional fee. The important thing to remember about using a third-party eBay design service, is that you usually buy the template as a one-off. This means that if you need it updated in the future, for example to comply with future policy changes, you’d have to pay them to alter the template. Do they have experience designing eBay stores and listing templates? Can they provide you with references and links to their past work? When can they start work? How long will the template take to create? What’s their testing process like? Who does the testing, and which devices and platforms do they test on? Are the designs compliant with the Active Content and how are they optimized for mobile devices? What happens if you don’t like the design? Will they start afresh or let you cancel? Who owns the design? Can you make alterations or adapt the design to use elsewhere, or are you tied to them for that? If they make a mistake, will they fix it for free? How long after the work ends will they do that? Is there any ongoing subscription? What happens if you cancel it? It is also a good idea to choose a designer that you communicate well with, and to get an itemized contract specifying exactly what is included, and which services are at an additional cost. The big question: which is best? When it comes to eBay store and listing design, there isn’t a one-size-fits-all answer. It largely depends on what products you sell and the type of seller you are – the needs of a solo hobby seller are generally going to be different from those of a business with twenty staff. Sellers who offer items that eBay has really detailed catalog information on, so all the necessary description has already been generated. 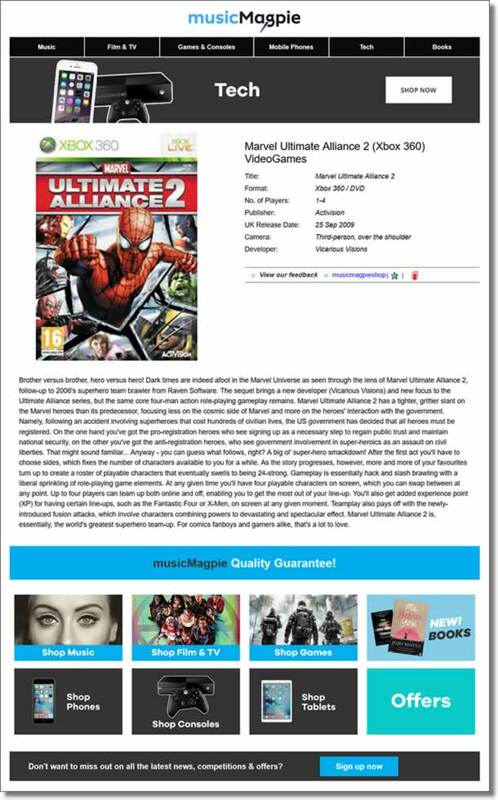 Some DVDs fall into this category, and the listing can look odd if the description is “doubled-up” with the seller’s own template. Sellers with no time to keep up with future policy changes, and update their listings if necessary, or to carry out occasional testing to make sure their listings still look good on different devices. 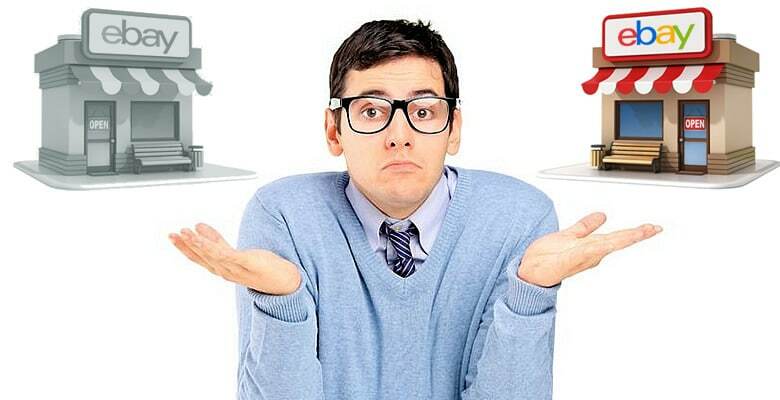 Sellers who are unwilling to spend any money on a design tool or a custom design service. For sellers that want the easiest, simplest life and to have no worries about whether a template will stop working, it makes sense to go with plain text. It can’t break and won’t look bad on other browsers and devices. Yes, there isn’t the benefit of branding your business, but some sellers will be happy with that trade-off. eBay design tools are best suited to sellers who want the benefits of branding, but don’t have the time, resources or possibly even the need, to have a completely custom-built design. Most eBay design tools work on a subscription basis, which should be cheaper in the short-term than a custom design, typically costing between $10 and $40 per month. It is important that sellers are reasonably comfortable with the basics of design, so can make good changes themselves, or are happy to use the pre-made templates as they are. A good understanding of eBay’s policies and the fact that buyers use different devices is also crucial. Using an eBay listing design template doesn’t mean sellers shouldn’t care about Active Content or mobile optimization because, while the templates should be fully compliant, it’s prudent to do your own testing. The final option of a custom eBay design service is best suited to serious eBay sellers, who have a clear idea of what they’re looking to gain from having a unique design. A full custom eBay store design and listing template is more expensive than using software tools, at least in the short term, and is likely to take quite some effort on the seller’s part. Yes, the designer is the expert, but they will need a detailed briefing upfront and feedback along the way. Sellers should consider a custom design if they are willing and able to put time, as well as money, into making it work. Once again, it is a good idea to be involved in the testing process and to have a solid understanding of the browsers and devices that buyers might purchase your products on. Ultimately, whether you decide to use an eBay listing tool or get a custom-made design, it is still possible to have the best of both worlds. You can have a design that gives you all of the marketing benefits, and that looks professional across all devices, without encountering the downsides mentioned at the start. It just isn’t as easy as it was five or ten years ago. eBay listing design is no longer something that you can take for granted. It requires ongoing work to make sure you comply with eBay’s policies, and wider changes in technology and shopping habits, to have a design that stays looking good no matter how a buyer views it. Some good some bad but white screen on a mobile is no good (in example product template given above) you can’t read the descriptions at all so it’s best to choose wisely or it cut your sales. I heard someone say on another forum that new search doesn’t like too much html either. No mention of the new free eBay Shop fronts that are mobile friendly announced in the last seller update? They look really professional too. No doubt description templates are to follow from eBay I would have thought. Hi PW, yes that’s a good point about the new Stores – more info here for anyone interested. A responsive design that adapts to mobile but keeps the benefits of branding, marketing widgets etc. is best I think. Mobile is big, but tablets form a large part of that and desktop is still big too. It makes it a bit of a headache but I think it’s best to design and test on all of those devices, and make the most of all of them. I agree with the first post about mobile, 45% of ebay purchases are touched by mobile so they said on the webinar last week so I think £1000 IS excessive if it doesn’t work on mobile, especially if eBay are now giving you a professional shop front for free. Nothing worse than all that scrolling and zooming, at least the text ones are readable. There are the odd ones I’ve seen are nice on mobile though I have to say. Reponsive ebay design is also getting mandatory as a result of increasing mobile conversion rates. I would not classify her as a reliable or a decent company to use. I would be careful putting my name behind recommending a company like hers.